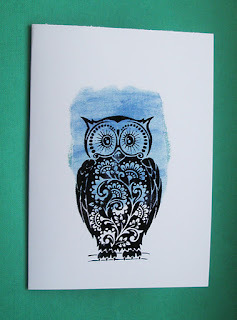 I made a few more one layer cards for the Less is More Bird challenge but I think this first owl is the best. It's an Elusive Images/Chocolate Baroque stamp and is so detailed that really it needs no further embellishment. The next owl has some Chipped Sapphire Distress Inks as a background but I think it's not so striking as the first card. They'd make a great set of notecards!! I'm with you Elaine, I prefer it without the blue background! It is a very striking image! I love them, particularly the first! 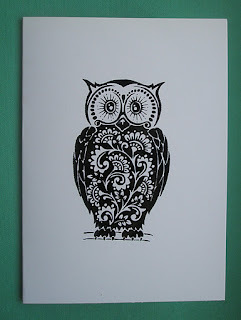 I love owls and almost used this stamp too. Don't you think it would make some great shrink plastic earrings? I too love the first owl a little more than the second one. It is a gorgeous image. 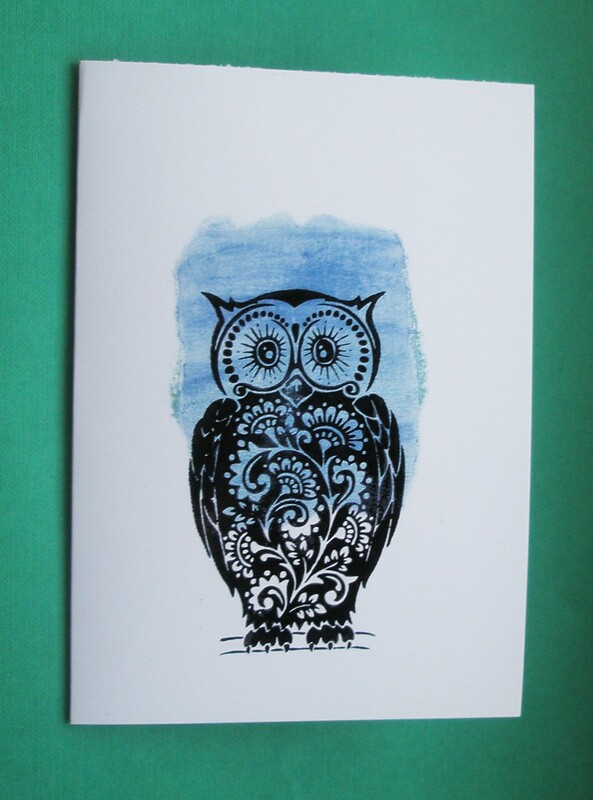 Fab cards, a lovely owl stamp. 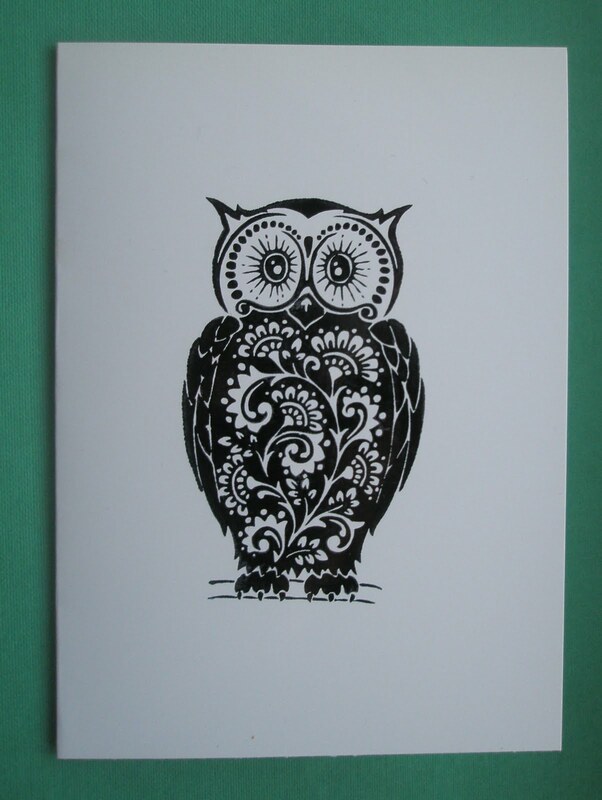 I love Owls and this image is fabulous - I agree with you Elaine - the ornate detail doesn't really require anything else, so the first one is my favourite too! oops! I hit the enter button too soon...Mr. Owl really caught my eye in the thumbnails over at LIM!